As explained by Womb organizer and co-owner Rick Sinnett in the first minute of the above video, the psychedelic art gallery he runs with The Flaming Lips’ Wayne Coyne and Jake Harms had big plans for New Year’s weekend. Acclaimed “thinking man’s” poster artist Emek was scheduled to kick-off the festivities Friday night with his final Poster + Retrospective & Book Signing of 2011. New Year Freak Out festivities all weekend long were set to culminate with a NYE After Party featuring “electric symphonies until sunrise” by New Fumes and Stardeath and White Dwarfs in the wee first hours of 2012 – open to all of the 1,500 fans at The Flaming Lips/ Plastic Ono Band concert. But as shown from about the one minute mark in the video above until the end – plans went awry when the Fire Marshall shut down space on Thursday, December 29th…. UPDATE At 10:40 am on December 30th, The Flaming Lips were still optimistic enough about the opening going ahead to retweet @WombGallery’s new video of the last minute preparations. 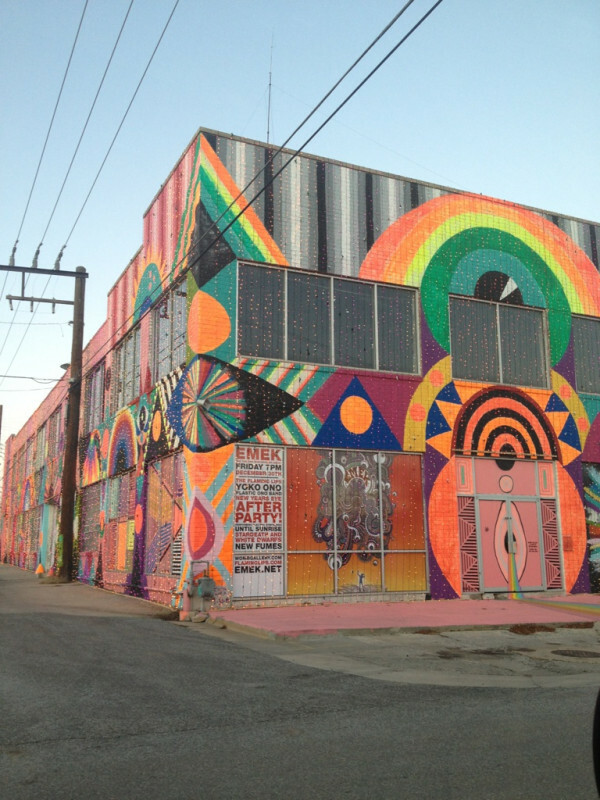 Rick told The Oklahoman plans are being made to move the after party and art opening to Farmers Market, 311 S Klein. 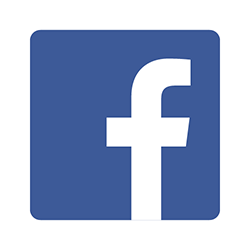 Directions and info on the market is here. 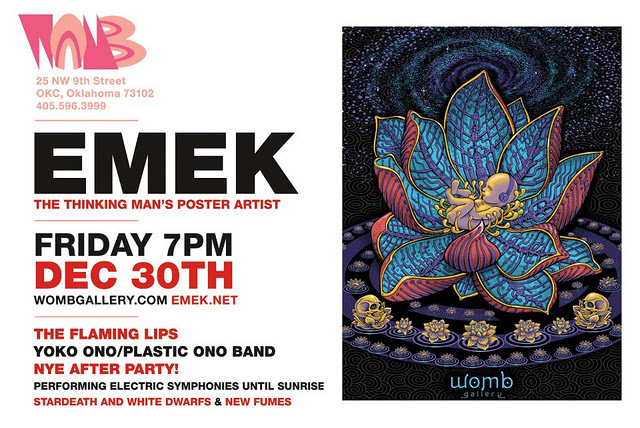 The Emek nonstop art show is at 7pm Friday Dec 30.